Popcorn has a long history, since the ancient time it has been a popular snack food. 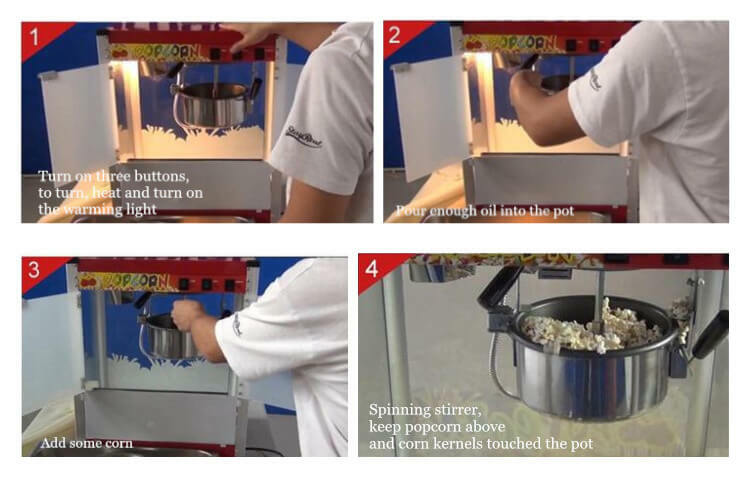 Popcorn making machine is also called popcorn popper to pop popcorn. 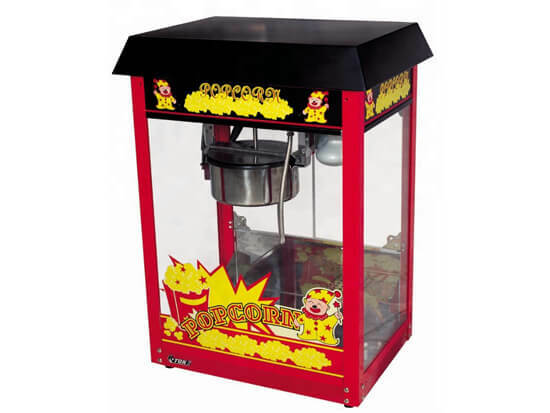 Our commercial popcorn making machine is a new type of popcorn maker to meet the growing market demand for popcorn which has absorbed the advantages of another popcorn popper. With remarkable performance and reasonable price, it is an ideal equipment for catering, snack shop, movie theatre, etc. 1. Unique design, modern style structure, beautiful and avant-garde. 2. High quality, made of aluminum alloy column, three surface tempered glass, and stainless steel plate. 3. With rich Teflon non-stick layer in the pot, easy to clean and maintain. 4. Convenient to operate, low energy consumption, safe and hygeian. 1. Multi-colored popcorn: red, yellow, blue, green, orange, purple, etc. 2. Kinds of flavors: hami melon, chocolate, strawberry, pineapple, taro, sweet orange, lemon, banana, blueberry, etc. 3. Wide use range: suitable for processing business in the market, park, station, school, theater, playground, shopping mall, supermarket and other places, also can be used for retail after packed at home. Popcorn has a wide market prospect as the common snack food loved by many people. Processing popcorn is a small investment, big profit project and it is very convenient to start your business. Amisy popcorn making machine is one of the most novel food machines in nowadays market; it can produce various kinds of peculiar flavor popcorn and the popcorn processed by our equipment is of rich nutrition which is an ideal health-care food. As a reliable supplier in China, Amisy can provide high-quality popcorn making machine and caramel popcorn production line for your need. 1. Please turn off the power when you clean and maintain the popcorn popper to avoid the accident. 2. No flushing directly popcorn tray and the whole machine with water. 3. Do not use the hard things to scrub the popcorn tray, so as to avoid the non-stick coating damage. 4. Cut off the power supply and keep the machine properly.